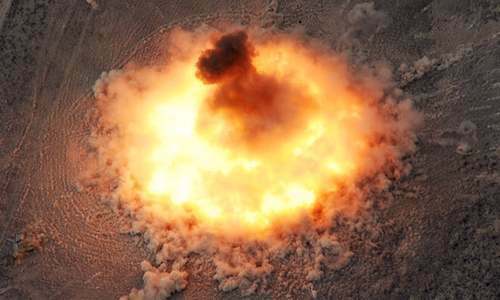 After dropping a monster bomb on its fighters, then targeting its leader, the US military is looking to destroy the militant Islamic State (IS) group's Afghan branch before battle-hardened reinforcements arrive from Syria and Iraq. While US and Kabul government forces have mainly been combatting Taliban fighters since 2001, IS's local offshoot — also known as Islamic State-Khorasan, or ISIS-K — has a stronghold in eastern Afghanistan. US and Afghan forces then raided a compound last week close to the site of the bombing, with the Pentagon saying it believed it had killed ISIS-K's leader Abdul Hasib during the operation. Michael O'Hanlon, a senior fellow in foreign policy at the Brookings Institution, said that while IS should ultimately be defeated in Afghanistan, the Pentagon's timeline may be overly optimistic. A definitive victory could take “a long time due, partly (due) to the proximity of Pakistan as well as the possible flow of fighters” from the Middle East as the “group loses sanctuaries there,” O'Hanlon told AFP. Analysts say that as well as Afghans, ISIS-K includes disaffected Pakistani and Uzbek militants among its ranks who used to fight for the Taliban. ISIS-K's defeat would be an important victory for the US, which has struggled to boast of clear wins after forcing the Taliban out of Kabul in 2001 in the initial aftermath of the September 11, 2001 attacks. Bill Roggio, a senior fellow at the Foundation for Defense of Democracies and editor of the Long War Journal, said ISIS-K had “withstood multiple US-backed offensives over the past two years.” But while their defeat would be a boost to the US, Roggio said the Taliban and their long-time Al Qaeda allies were still a much bigger challenge. “It's not that they don't pose a threat, but I would argue that the Taliban pose a far greater threat to the stability of Afghanistan,” Roggio told AFP. America has about 8,400 troops in Afghanistan. Most belong to a Nato mission to train and advise Afghan partner forces fighting the Taliban. ‘Mother of all bombs’ or the mother of all mistakes? The mountains of Afghanistan are a sanctuary for bandits and they always have been ever since Man swung down from the limb of a tree. Nothing good is possible from the US greed. Eliminate it from Afghanistan, by pushing them over the border into Pakistan. Just like the Talibans did before them. US aims to 'eliminate' IS in Afghanistan this year??? NO! I think US aims to ' Create' IS in Afghanistan this Year. It seems US will never run out of cracking ugly jocks on the face of reality which says otherwise! this year or that, US with all its military might bound to fail to eliminate nothing except wiping out helpless, war-ravaged Afghan people who has seen the worst of decades generations after generations. For once, leave Afghan people alone and let them decide who to govern them. Let's for start stop shoving your idea of democracy down the Afghan throats and if that means Taliban returning to power so be it! Why blame America? I know you don't want to hear it but it is pretty clear to the United Nations and the world that South Asia has had a difficult time managing it's own business over the past 70 years. There have been territorial disputes, religious violence, continual military skirmishes and political sniping between India and Pakistan and a civil war with Bangladesh. An Indian war with China. A civil war in Sri lanka, and a Russian invasion of, and a long US intervention in Afghanistan. Now Pakistan is building an economic corridor India does not want to be part of, while the Indus Water Treaty is in doubt. As the saying goes, "treaties are made to be broken" (by someone). Pakistan and India have a maximum of 70 more years to get their act together. Blaming others won't get the job done. Taliban have just started their spring attacks, the USA have with nearly 300000 troops not been able to defeat them, so why are they so sure that IS will be defeated this year? The sooner the better for everyone before becoming their next targets after Iraq and Syria. We haven't even got rid of the taliban yet ! Eliminate IS this year, in 16 years they could not finish Talibans. Now the face of the enemy is has changed from Talibans to IS. I guess Trump is going to reverse Obama's policy, instead of reducing US troops in Afghanistan, he will deploy more troops. So far Afghanistan war is the longest in the history of US, end seems similar to VietNam war.